Bank holiday Monday saw the surrey trust team travel to sanderstead. Captain Rogers lost the toss and we were asked to field on a very hot bat first day. Travis Blood and George Edward shared the new ball and both claimed important wickets. 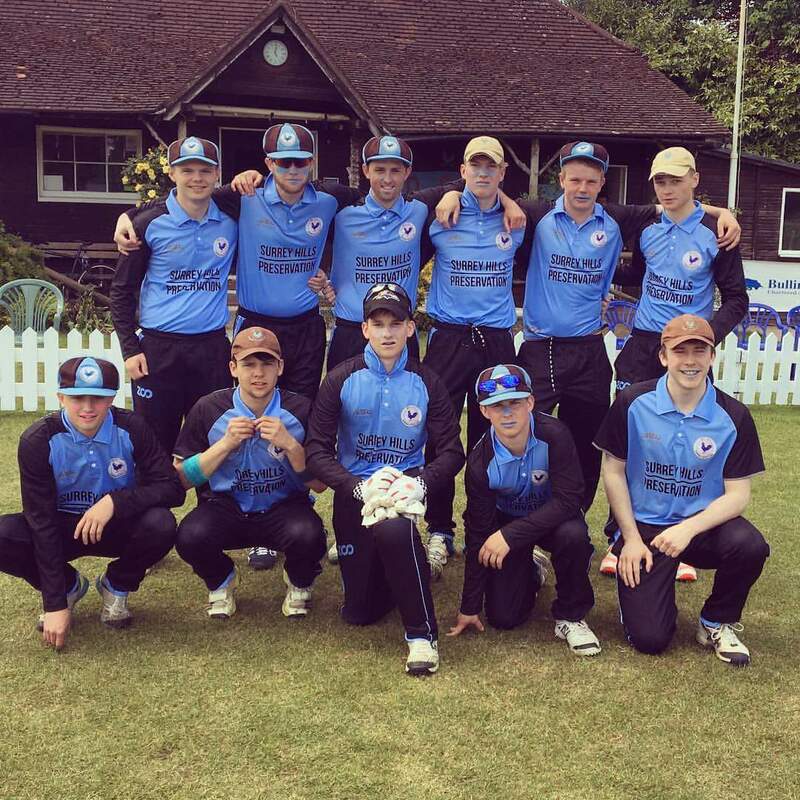 Sanderstead were not put off though and kept going hard, putting on around 80 for the 4th wicket. Jack Myers then made an important breakthrough dismissing the dangerous Hassan. However, Jackson continued to go hard at the ball and was deserving of his 89. Despite this, The Dorking bowlers (Fownes Walpole and Kenway in particular) continued to work hard to make scoring difficult. The sides ground fielding was also tight which helped restrict sanderstead to 231. The less said about the teams catching the better. Dorking started slowly with Rogers makings a very scratchy 9, the less said about it the better. Kenway (23)and Davies (33) then took over, playing some excellent shots to keep the chase ticking. Both fell bringing Myers (62) and C. Edwards (53*) to the crease. Both batted superbly to take the run chase deep. Edwards with shots a.b would have been proud of. Myers fell with around 3 overs to go bringing blood (22* off 8) who everyone was backing to take Dorking home. Once again he delivered, pumping the penultimate ball over cover for 6 to win Dorking the game. An excellent run chase to win an excellent game.